vinyl only! very special pressing with real wooden centre label! 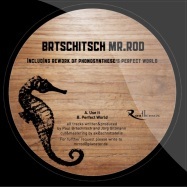 paul brtschitsch, mr. rod & malte schlorf deliver a mixture of techno, vocals & deephouse - recommended! with the first single release of beijing rock, paul brcic (paul brtschitsch) brings a driving yet emotional production into the world of electronic sounds. an unmistakable, pulsating beat reminiscent of detroit-techno, smooth percussion, and a catchy bass line make up the songs foundation, immediately casting a bewitching spell and leaving no room for detours. carefully arranged samples from the 40s mould the centrepiece of the club bangers and move in perfect harmony with the full synth and fx sounds. without a doubt, paul brcic sets off a multifaceted sound explosion with a first look at the album beijing rock, scheduled for release in autumn 2012, always keeping one eye on production-technical details and the other on organic sound. beijing rock immediately invades the senses from the first measure, taking you along a journey outside of the clubs of this world and catapulting you just as quickly back to the sweat-inducing, wild nights. absolutely magnificent - paul brcic in his purest form. 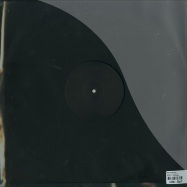 the b-side acid & camambert clatters as if on rails through the fields of sound and sets off one adrenaline rush after another with its clear basslines and consistently rising networks of beats. exquisite superstructures and effect dramaturgy breathe life into acid & camambert with an unbelievable energy and nearly acidic characteristics. finest open air tracks for the summer. strictly limited to 60 special hand numbered copies with original wood labels!! 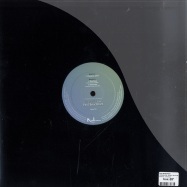 great remixes with different approaches by mariano dc and martin woerner for paul brtschitschs >clamber<, originally released in 2002 on the mighty >venex< album. 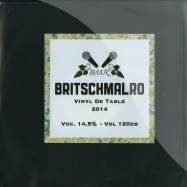 flip over for the timeless original mix and the vinyl-exclusive track >blossom< by britschmalro aka malte schlorf, mr. rod and paul brtschitsch, known for their beautyful track >grow< on resopal. limited to 100 copies worldwide, no repress - so you better be quick! 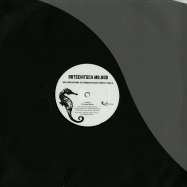 repress , back in stock !! 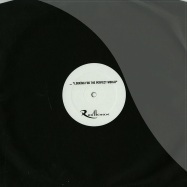 !including anja schneider remix of >three weeks<. part 2 of his album released on three 12 inches. massive top dj support! the choice of anja schneider for remix duties was an obvious one, the pair first met on a shuttle bus to an event and in short stead paul was co-writing for anja, becoming part of the driving force behind her huge debut album ‘beyond the valley’, now she pulls out all the stops to reciprocate with this standout reworking. first up on the package is the anja schneider remix of ‘three weeks’, the opening cut from paul’s recent album. here the pair, deconstruct the parts and rebuild things into a deep and hypnotic version that has instant dancefloor appeal stamped all over it. solid, chunky drums rub up against simple spacey synth lines and warm pads to huge effect. bearing in mind the superb quality of the original this is a job well done, and a real addition to this great package. next we have the original of ‘three weeks’, a track named after the extensive time it took to record. paul had originally intended to record the album in 6-8 weeks, then ended up spending nearly half of his allocated time on this opener. but it has to be said it was worth the effort. 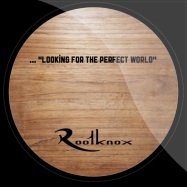 this is a slice of solid tech inspired house with subtle vocal elements and a musicality that cuts through the records club based nature. excellent stuff. finally we have diamant flute, another winner from the ‘me, myself and live’ album. 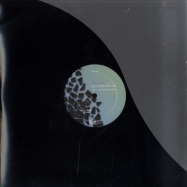 deep and highly engaging this again displays paul outstanding talents as a producer, weaving melodic elements deep into the mix and retaining an incredible underground electronic sound.